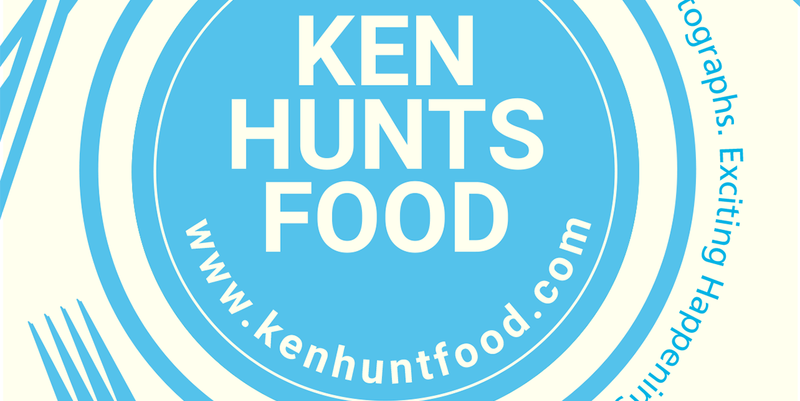 Ken Hunts Food: [Year 2017] Food Hunting- of Cafes/ Must-Eats @ Taiping (太平), Perak (霹雳). [Year 2017] Food Hunting- of Cafes/ Must-Eats @ Taiping (太平), Perak (霹雳). Approximately one-hour drive away from Penang, the quiet and wet town- Taiping (Perak) is known for its range of recreational activities suitable for a short family-getaway (Taiping Zoo, Taiping Lake and Museums etc) but its local food scene shall not be forsaken as well. The cafe is scene is getting exciting with a few new introduction of cafes; coupled with its classic Taiping delicacies, the place is worth-stopping by especially when you are travelling South (or North). It's always fun to plan for a half-day food tour around the city but do make preventive measures for the rain fall, which can come anytime... anywhere (for the uninitiated, Taiping town is one of the places with the highest rainfall recorded in Malaysia). Business Hours: 6 am to 1:30 pm. Closed on Mondays. One of the favorite breakfast places by the locals- Restoran Kakak is known for churning out some slurplicious Koay Teow Th'ng. The place is strategically located in the central of Taiping and there are ample parking spaces around. Not only Koay Teow Th'ng, we had their Wan Ton Mee either. The broth was thick, rich and creamy; as though it was boiled for hours to accentuate the essence of the poultry. The locals like to enjoy their Koay Teow Th'ng with a dash of Chili sauce that packs a strong Chili punch, it can be comforting and addictive at the same time. The Wan Ton Mee was alright, though the texture was delicate but the seasoning could be bolder. A hearty serving of the comforting Koay Teow Th'ng is economically priced at Rm 4. Address: 36 A, Jalan Kota, 34000, Taiping, Perak. Business Hours: 12 pm to 10 pm. Closed on 3rd Tuesday and Wednesday of the month. MJ's Cuisine offers a blend of Western and Oriental menu, it does not come across as a place that offers classy ambiance or sophisticated dining atmosphere but netizens have been singing praises on its food. Established in 2013, the Chef learnt the traditional Chinese dishes from the father and honed his Western culinary skills somewhere. The restaurant has a lot to offer, from the commonly seen classic local dishes to some unconventional Western offering (at least not too common in Taiping). The Hainanese Pork Chop immediately caught our attention and we just can't seem to resist it. Two slices of well-marinated Hainanese Pork Chop served on a bed of Mashed Potatoes with Onions, Green Peas and Potatoes... dressed with the quintessential Worcestershire sauce. The seasoning was spot on and the flavors were impressive. The distinctive acidity of the Worcestershire sauce cuts through the greasiness of the meal and offered a refreshing but satisfying meaty bite. 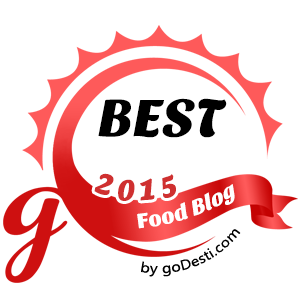 The Genovese Chicken was alright. Albeit tender, the flavors were disappointingly average; we were nevertheless, impressed by the presentation. Address: 92, Jalan Barrack, 34000, Taiping, Perak. Business Hours: 10:30 am to 6 pm. Opens Daily. The Taipingians have professed their love for Cendol, evidently seen from the number of Cendol establishments at every corner of Taiping town. Established since 1940, Ansari Famous Cendol is one of the pioneers (for Cendol) in Taiping, the place is spacious with a huge signage displayed on the facade vying for attention. But Cendol might not appeal to Penangites so to make your calories worth-while, top up the sweet treat with Pulut Panggang (Grilled Glutinous Rice). The grilled Glutinous Rice is not sweetened but instead, it adds a delightful smoky-charred dimension to the creamy-icy treat. Ansari's was alright but not as creamy as we would have hoped. Not too bad for a change though I would stick to our very own version... with thick creamy Coconut Milk. Before we decided to try Ansari's, we had Bismillah's. To our dismay, Bismillah's Cendol was rather diluted. It was not even creamy at all, as though the Coconut Milk was diluted with water. The Cendol Jelly was too fine to our liking as well. Disappointed with Bismillah, we decided to try our luck with Ansari and found the latter one better (though not superb). Address: 79 G, Jalan Barrack, 34000, Taiping, Perak. Business Hours: 11 am to 11 pm. Closed on Tuesdays. Though the cafe scene in Taiping is not as exciting as compared to Penang but there are a few that worth your time, Double Tap Cafe is definitely one of them. The cafe occupies one of the corner lots along Barrack Road, the cafe has a cozy and relaxing ambiance. The huge glass window at the corner allows natural light to flow in, making it the perfect spot to satisfy the Instagram-hipster in you. The menu is equally exciting either, Double Tap is probably the only cafe (in Taiping) that offers Bacon Kimchi Spaghetti. It was a brilliant twist for blending in Bacon, for the smoky-savory element that enhanced the overall flavors. The Kimchi cuts through the greasiness with its acidity and mild spiciness... coupled with the al-dentely cooked Spaghetti, the Pasta dish was refreshing and addictive at the same time. Our attempt on their sweet food was Belgium Waffle with Chocolate Banana... it did not shine though. Address: 768, Kampung Bahru, Lorong 29, Aulong, 34000, Taiping, Perak. Business Hours: 7 am to 7 pm. Opens Daily. If buying "Omiyage" is your thing when travelling, do make a stop at Au Long Biscuit and Confectionery. It does however, take some effort to locate the place. It is tucked in one of the houses at Au Long, a residential area 15 minutes drive away from Taiping town. There is no signage around but those who are in the know would be able to make their way here. What awaits the hungry travelers are the huge range of biscuits and pastries but this particular place is known for its signature Heong Peng (roasted Biscuits with Molasses as filling). There are of course, other classic Chinese pastries available but not all are impressive, their Heong Peng is probably one of the safest bets. Address: 46, Jalan Barrack, 34000, Taiping, Perak. Business Hours: 11 am to 11 pm. Closed on Wednesdays. A short walk from Double Tap Cafe will land you at Triple Shot Cafe, the latter one has a more hipstery ambiance- there are couches for the couch potato or proceed straight to the room heavily decorated with Teddy Bears. A contrary to the interior decoration, Triple Shot Cafe has something healthy for the weight-watchers. Its Healthy Breakfast consists of boiled Chicken Breast (lightly seasoned with Salt and Pepper), Broccoli, hard-boiled Egg, Green Apples and Oranges suits weight-watchers the best. Not only the calorie count is low, the items were toothsome either. Equally good was the Peanut Butter Tiramisu, a variant of its Coffee-infused Italian dessert. Peanut Butter was used in lieu of Espresso but in return, the sweet treat was jam-packed with the gooey, nutty flavor. To our surprise, the flavor combination worked! The 4 month-old cafe makes a good pit stop to rest your feet before continuing your food hunting journey. Business Hours: 3:30 pm to 8 pm. Closed on Fridays. Mee Koo (pink-colored steamed Bun in the shape of Tortoise) was originally an offering to the deity, the texture is usually soft and pillowy... typically enjoyed with Jam or pan fry with eggs (French-Toast inspired). Huan Chu Leng is one of the local Mee Koo specialist that has been around for years, visitors from other states often buy in their home-made Mee Koo in bulk. The inexpensive but delicate Bun can be stored in the fridge up to 2-3 weeks. We'd like to recommend their Mee Koo with Kaya/ Red Bean filling, an unusual but delicious variant. Address: Kampung Menteri, Kuala Sepetang, 34650, Taiping, Perak. Business Hours: 12 pm to 10 pm. Closed on Wednesdays (except Public Holidays). No trip to Taiping is complete without a short visit to Kuala Sepetang, a fishing village 30-minutes drive away from Taiping town. The place is thronged with crowd eagerly waiting for their Seafood. Along the way to jetty, one may find a stretch of Malay restaurants offering Mee Udang (Prawn Noodles) and amongst the Mee Udang specialists, Mak Jah is one of the popular establishments. Rules are strict and everything is organized here; there are rules to follow... from parking to ordering, even settlement of the food bill. But one thing for sure, the prices are slightly higher than our expectation. One bowl of Mee Udang costs up to Rm 9, slightly more than those offered in Penang Island (we usually pay Rm 7-8 for a plate of Mee Udang). We were convinced by the luring orange-hue of the Prawn broth and immediately took a sip. "Ahhh... Prawn Noodles" came to our mind. It was certainly, none other than our familiar Prawn Noodles. It was nothing more than the ordinary, the broth was dubiously sweet with a hint of spiciness. The Prawns were however, fresh and plump. We found a curious Pak Uteh Cucur Udang in the vicinity and decided to try our luck.... but to no avail. The Cucur Udang was uninspiring- soft and drenched in oil. As oppose to the crispy-crunchy Cucur Udang, it was more of a Pancake-kind of texture (soft and dense). You might want to give this a miss. Address: No 150, Tepi Sungai, Kuala Sepetang, 34650, Taiping, Perak. Business Hours: 12 pm to 8:30 pm. Opens Daily. There are quite a handful of Seafood restaurants at Kuala Sepetang and it might be confusing for first timers. You might want to head there slightly earlier to walk around the fishing village or to catch the sunset view before dinner. Though small, the village is vibrant and taking is leisure stroll in the evening can be soul-healing. We found our way to Port Weld Seafood Restaurant, one of the long-established Seafood restaurants in the vicinity. The restaurant sits on the 2nd floor of the building, offering breath-taking view to its diners. The steep flight of stairs can be daunting for some but on the 2nd floor of the building, diners get to choose between al-fresco dining area (with sea view) or comfortably dining in the air-conditioned room. The menu is pretty standard and relies heavily on the catch of the day. Unfortunately, the food did not meet our standard and we thought the prices are on the higher side too. The blanched Squid with Chili sauce was bland, we did not expect them to serve it that day... or at least, some effort to offer better dips would be great. The stir fried Yee Foo Mee was a disaster, it was so salty that we struggled our way to even finish even one bite. The only dish that we thought it was alright... was the Salt and Pepper Prawns. Albeit greasy, the Prawns were fresh and succulent. Other dishes were... meh. Happy Food Hunting in Taiping! Wah u covered so many places in just one day? Salute!